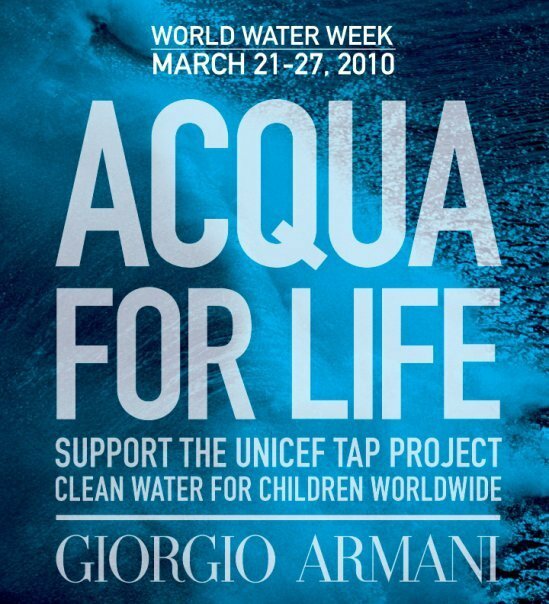 It’s still World Water Week. 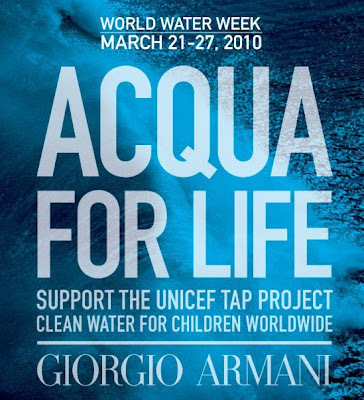 To support the UNICEF Tap Project, Giorgio Armani Parfums will donate $1 for everyone who becomes a fan of Acqua di Gio’s Facebook page. This will provide 40 days of clean water to a child. You can also make a donation on UNICEF’s website.